Websites are the digital brand ambassadors for your business. 89% of customers search the web before making a purchasing decision. So, choose pictures & graphics that display your company and products in the best light possible. 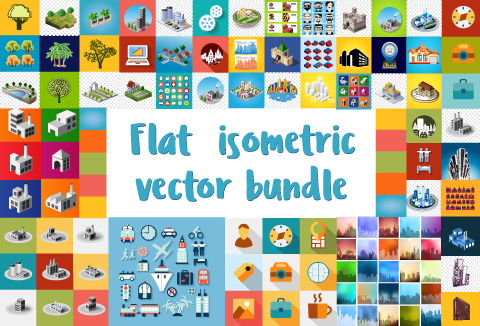 To ensure the success of your site, we bring you a bundle of 250 flat isometric vector graphic designs. You can simply edit colors in the supplied files. Set of vector elements include various types, sizes and colors of vector, raster objects. You get a total of 448 different file formats, such as EPS, JPG, PNG, SVG, AI. Can I print this nice graphics on t-shirts and sell the shirts to my customers?